Anyway, the commercial ends with the siblings playing some Buck Rogers and the usual tagline about commanding the powers of ADAM. Ma and Pa Caponi still enjoy playing Frenzy! I am always surfing the world wide web for anything having to do with the Coleco ADAM computer. Not long ago I came across an interesting video of an older couple playing Frenzy (the sequel to Berzerk) on an ADAM computer via the ColecoVision slot built-in. I wanted to know more about what I was watching so I reached out to the poster of the video and this is what he AND she had to say. OH, and watch the video at the very bottom. The older couple in the video are my in-laws and my wife as well. The back story is in 1983 my father-in-law Sam, bought this Adam computer for his oldest son who was starting college at the time. Based on what Sam tells me about buying this computer, a big draw for getting an Adam was it came with a $500 college scholarship. There is a YouTube video of the commercial highlighting the scholarship incentive. My wife was supposed to get that scholarship but it never panned out. My in-laws used the computer for a couple of years until in 1985 when they made their way from Long Island down to Greensboro, NC. I’m not sure when, but sometime after arriving in NC they mothballed the Adam. So the Adam collected dust in their attic where it was out of sight out of mind for a couple of decades. Around 2010 my in-laws offered the Adam to my wife and I when they were doing some clean up in their attic. Not much changed for the Adam. My wife and I didn’t have much use for it so we took it home and it collected more dust in our attic for the next six years. A couple of months ago we decided to clear out some of the clutter and sell what we could on Craigslist. I got the Adam down from the attic, dusted it off, set it up and hooked it to a small non-digital TV I was also trying to get rid. To my amazement the Adam started up without issue! I didn’t test it out too deeply but I did test out the handful of games my in-laws had bought over the years. All but one worked. One of the games was a knock off of the old 80’s shoot-em’ up arcade game “Berserker” which Coleco branded “Frenzy.” When I told my in-laws I the system up and running my devoutly religious mother-in-law confessed that she loved playing “Frenzy” as a way to get out her frustrations by shooting at the robots in the game. So while I had the Adam set up I invited her to come over and play it before I sold the system. The video I posted is from that day. I especially like how my father-in-law is backseat driving her while she is playing! The ad for the Adam sat out on Craigslist for about three weeks or so without a single bite. Finally a guy, an Electrical Engineer, who lived over 100 miles away on the other side of Raleigh came out and bought it. We sold it for $80. That price included the small TV. Later the same day we had another person who was interested in buying it. Perhaps I could have gotten more. Well it’s not an exciting story but that’s the story. Thanks for your interest, Justin. Mike pretty well summed it up, except that I was supposedly the one who was to reap the benefits of the mythical $500. scholarship – it didn’t happen (Oh, I had to pay for school without Coleco’s help, thanks) but “the struggle” propelled me to academic excellence. What is this & who is Mr. Dolan?? The answer. Maybe. On May 1st, I got an itch to play with SmartBASIC on my ADAM and found that the digital data pack was… altered. As I explain last month, the DDP didn’t launch SmartBASIC. It launched a custom-made program that required a password. This was a silly paragraph of text that really wasn’t even a game. It was about Star Trek though. Althought “M-DRAW” is not an option but is a program on the DDP, I decided to record a video of what it is. I was surprised to find that the ComputerHistory account on YouTube has recently uploaded a video of Coleco presenting a finalized version of the ADAM to the public. This is great. There’s lots of demonstrations. Heck, just watch the video! What is this & who is Mr. Dolan?? Then I tried to see the contents using the GET option in SmartWriter. Here are the files on the tape. Sadly, for whatever reason, when I tried to boot the tape by pulling reset, the tape wheels would spin but ultimately brough me back to SmartWriter.. I don’t know the reason. However, I can still access the program(s) by first loading SmartBASIC from another tape, then loading the “HELLO” program. More on this later. Oh and who is Mr. Dolan? Was the Coleco ADAM really expensive at first? Listening to vintage computing podcasts when the Coleco ADAM computer is brought up, you would have thought the ADAM was ridiculously expensive when it came out. That just doesn’t make sense to me, because when I look at the ADAM I see a robust product: keyboard, memory console with a software controlled tape deck, printer, controllers with one attaching to the keyboard to act as a numeric keypad and a built-in word processing application. The only thing it didn’t come with was a monitor. So I did some simple digging through the world wide web and found some things. It seems the ADAM was going to be sold for $600, but when it finally came to market, it was priced at $749.99. That does seem like a lot of money, but I’m thinking about this from a modern day perspective. So I went to see the prices of other computers of the time. 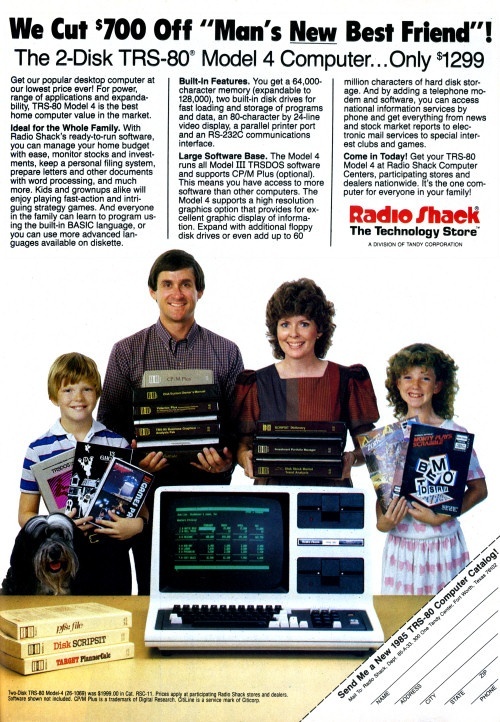 In 1983, Tandy’s TRS-80 Model 4 was selling for $1999. 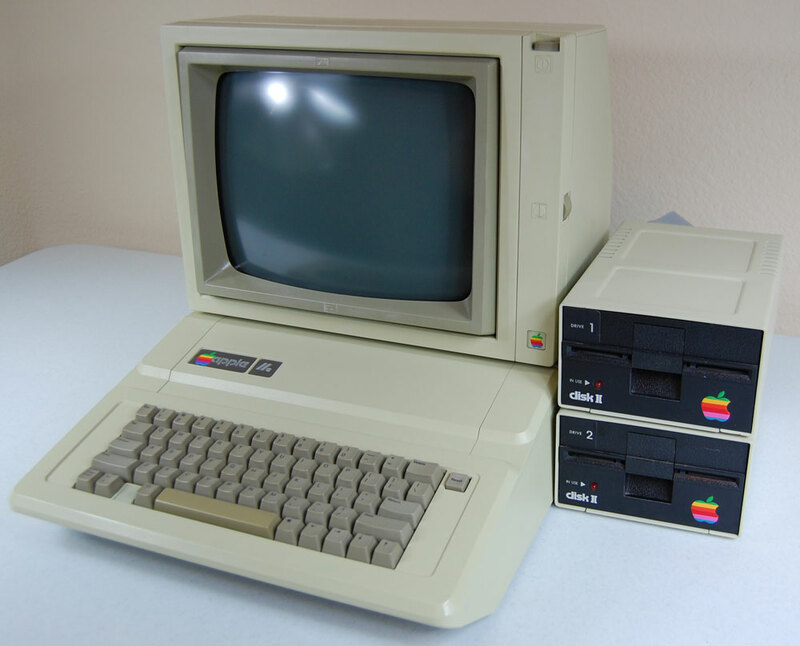 Also in 1983, the Apple IIe was priced at $1400. 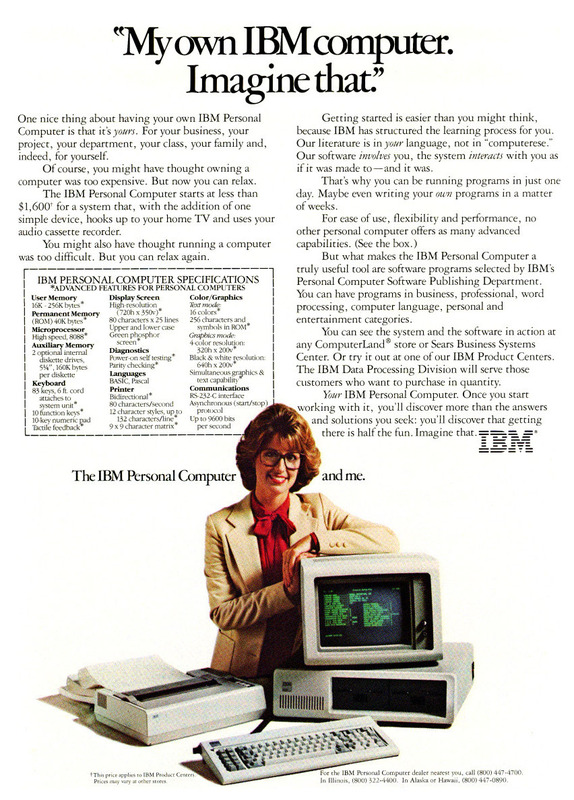 In 1981 the IBM 5150’s base model sold for $1600. And finally, the most popular home computer of all time, the Commodore 64 was selling for $595 when it was released in 1982. Now before you send me messages about how each one of those computers would decrease in price, some dramatically, the ADAM did as well. However, at those original prices, the ADAM looked like a great deal. The Tandy did come with everything you needed to get up and running out of the box, but you had to take out a bank loan to get it. 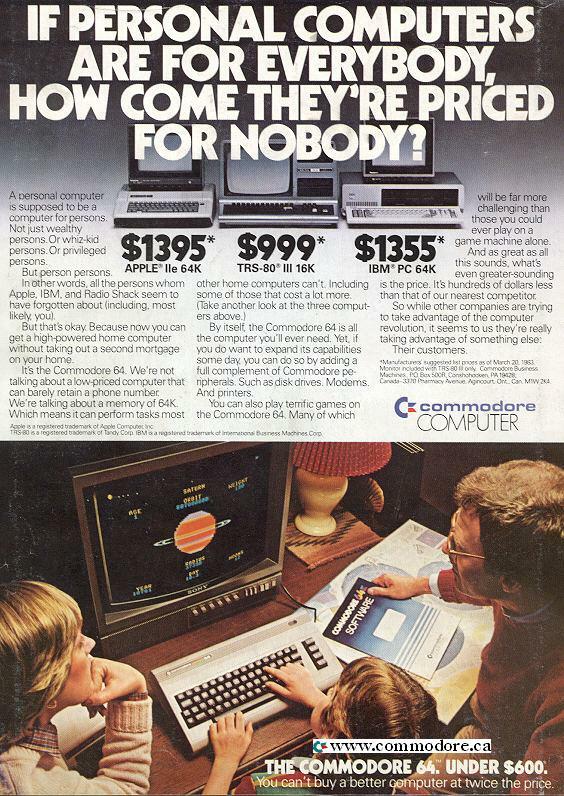 The Apple IIe and Commodore 64 were computers with built-in keyboards, but the customer still needed to buy a disk drive separately if you wanted to run serious software. The Commodore’s saving grace was that software cartridges could be inserted into the back of the unit without the need for a peripheral. The C64 would eventually drop to about 200 dollars but adding a 1541 disk drive and printer would set the price close to, if not more than, the ADAM’s introductory price. There was a time when screensavers were a must on computers. That time was pretty much the 1990s and early 2000s. Some screensavers were simply random images that would be generated through code and go on until infinity or at least until you touch the mouse or keyboard. Some of Coleco ADAM’s users were using SmartBASIC to make elaborate animated art that could have been screensavers, though I’m sure they didn’t know that at the time. The book “32 BASIC Programs for the Coleco ADAM” had such a program. It will seem rather plain by today’s standards, but I was in awe when I typed this out and ran it on my ADAM back in the mid 1980s.